Remember the story about how I broke my toe? Yep, the one where I was inebriated and fell down the stairs in a graceful, ballet-like fashion? Well, I had many an opportunity to mess myself up while I was on vacation. I know that’s a shock. The beach house where we stay is 3 stories and has wicked steep stairs all the way to the top. My first successful attempt at self preservation started the night we went out for an Anniversary Dinner. Somehow I thought it was a good idea to have a cup of after dinner coffee at 10 pm. I never drink caffeine after 2 pm so why the hell did I think that a cuppa joe was smart at 10 pm? Well, there is a need to stay up past 11 o’clock when we’re at the beach. And sometimes I have a hard time doing that. Hence the coffee. So, we get home and saddle up on the deck to watch the stars and the moon rise over the ocean. One by one, everyone else peels off and goes to bed. It’s 11:30, I’m still very awake. And I have had a few drinks so my mind isn’t the clearest. It’s a good idea to go down the steps, across the street and visit the beach. The beach under a full moon is exceptional. Except when you’ve had a few drinks and you’re not so good on steps. If I could have tele-ported myself down the steps and over to the beach, I would have. But I did not. I did not go. 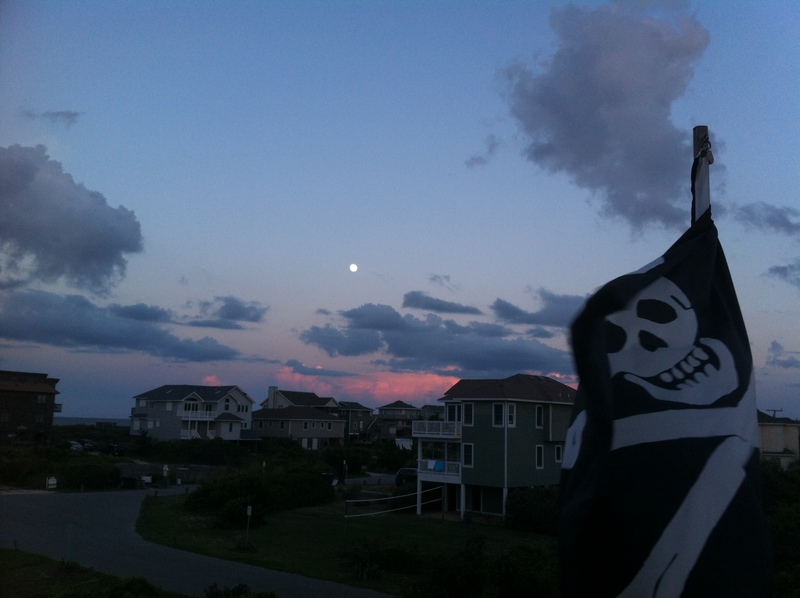 The Jolly Roger warning me to not go to the beach. And probably saved myself some ridiculous injury. I also did not go swimming in the Sound. I had taken a walk by myself and was compelled to go in the Sound. But I didn’t. It was raining and very blustery. And I didn’t go swimming. No warning flag except the one in my mind. Swimming in the reeds and other heavy Sound vegetation during a storm also seems like not such a good idea. And I didn’t do it. 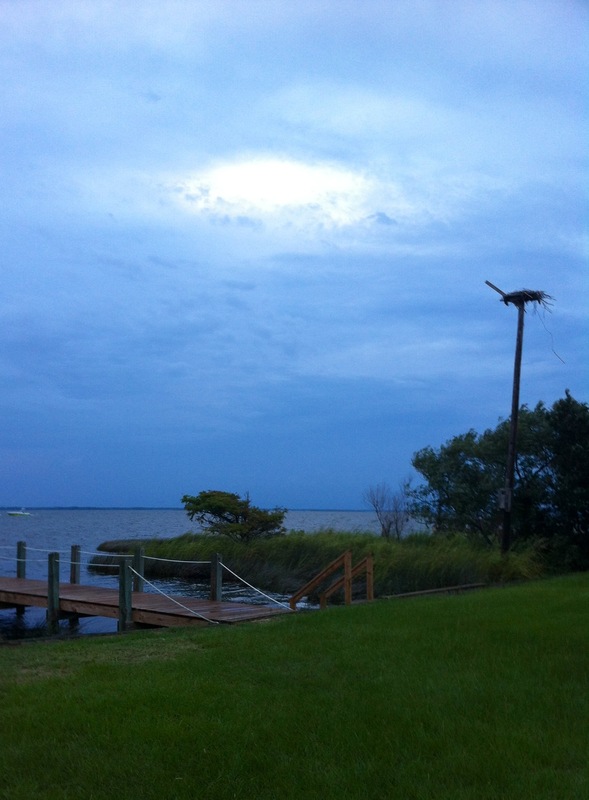 This entry was posted in Shenanigans and tagged Blustery, Caffey's Inlet, Currituck Sound, Duck NC, No Swimming, Storm. Bookmark the permalink.